Mix dry ingredients into wet ingredients in 1/3 cup increments. Ha ha! Just kidding, throw it all in there-that’s what I do. 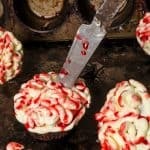 Pour batter into the cupcake tins, about 3/4 full, and place in the oven for 18-25 minutes or until a toothpick comes out clean from the center-most cupcakes. Mix on high 2-3 minutes with a hand mixer until it becomes stiff and fluffy. Place in refrigerator until you are ready to use. If your cupcakes rose to a big fluffy top, you’ll want to cut off the pouf to a flatter surface. 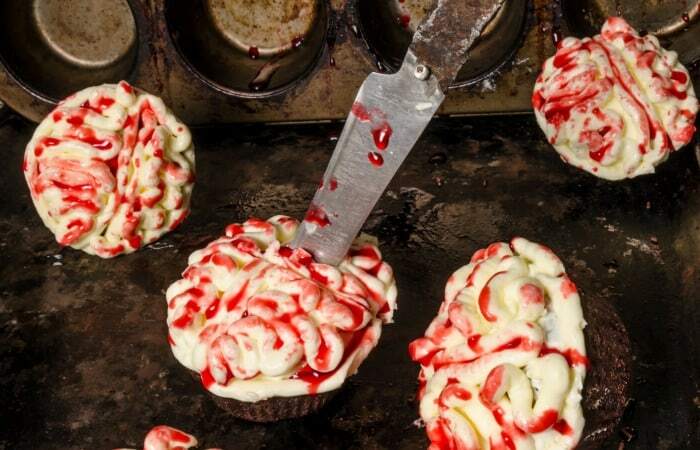 Place a small amount of icing on each cupcake with a knife, just to give you a solid white background for your brain. In one continuous line, do a vertical strip down the center of the cupcake, then circle the outer edge of the cupcake on half the cupcake, closing the oval. Repeat step 1 on the other half of the cupcake. Fill-in each half of the cupcake with tight squiggles to fill the whole oval space. 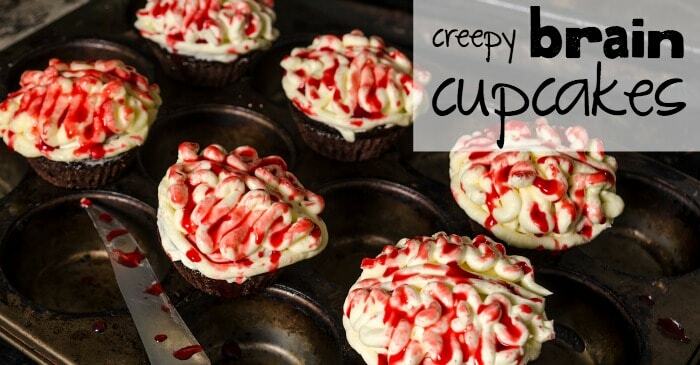 It’s ok if it’s a little messy–they’re brains, they’re supposed to be weirdy-shaped. Mix corn syrup and food coloring until thoroughly combined. Drizzle about a teaspoon of the red blood drizzle over each of the brains using a spoon. BAM! 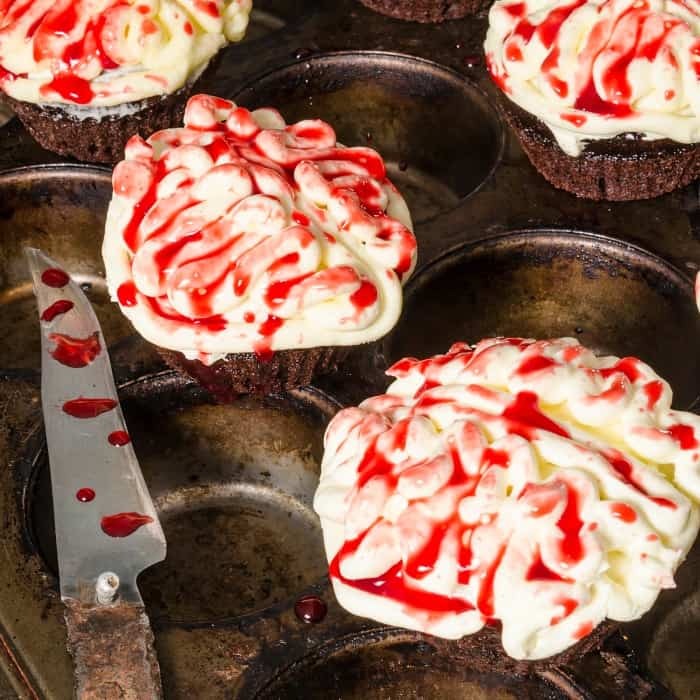 There were these pretty, dairy-free and egg-free chocolate Creepy Brain Cupcakes just sitting on my counter, waiting for a zombie apocalypse.